When a vehicle comes to a sudden stop on the road, it puts all motorists behind the vehicle at risk. The chances of rear-end car accidents are high, as are risks of a multi-car pileup. These dangers are only heightened if there is a motorcyclist involved given how vulnerable they are to harm. A Salt Lake City, UT auto accident lawyer can help you if you were injured as a result of a reckless or negligent sudden stop on the road. Let’s consider how these kinds of incidents seriously impact the well-being of people on motorcycles. If a driver ahead makes a sudden stop, a motorcyclist may rear-end the vehicle in front of them. In these cases, a motorcyclist may be thrown from their motorcycle, striking the road or the vehicle ahead with tremendous force. If a motorcyclist tries to swerve out of the way, this can also lead to the loss of control of the motorcycle. The motorcyclist may wind up skidding along the road or striking an adjacent vehicle to avoid the immediate collision ahead. When a motorcyclist rear-ends another vehicle, there is a risk of serious head trauma and brain injuries given the amount of force with which the motorcyclist strikes the vehicle ahead. Road rash, broken bones, and lacerations are also possible if the motorcyclist skids along the road after being hurled from the motorcycle. 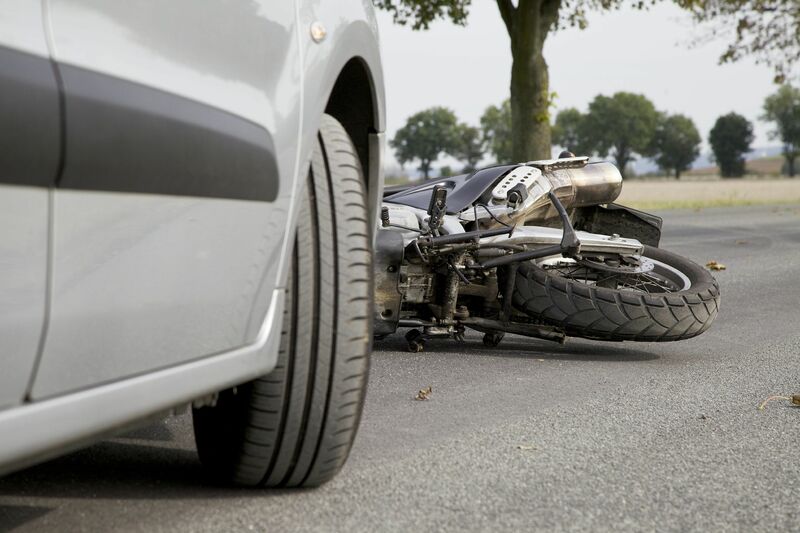 A motorcycle being rear-ended can lead to serious harm in the case of a sudden stop. In these kinds of accidents, a motorcyclist may not just be thrown from the vehicle but run over as well. Such is the risk when it comes to larger vehicles on the road. The injuries sustained when a motorcyclist is rear-ended can be catastrophic and life-threatening. Major harm to the neck and back may occur, with risk of broken bones, head trauma, and damage to internal organs. Even with a helmet and proper riding attire, the injuries can be fatal. Abide by the Speed Limit - If you exceed the speed limit, there’s a great chance of accidents occurring, and less stopping time if you have to stop suddenly. Follow the speed limit and drive responsibly. Situational Awareness - It’s important that you be aware of all vehicles and conditions around you, as well as what’s on the road ahead. Be mindful while you drive and it can save your life. Keep Space Between Vehicles - Keep some distance between yourself and the vehicle ahead of you. If there is a sudden stop, you’ll at least have time to slow down or act accordingly. Avoid All Distractions - Rubbernecking, cellphones, and other sources of distraction must be avoided at all costs while you are operating a vehicle. Keep your attention on the road and nothing else. For more information about your legal options following a serious motorcycle collision, be sure to contact an experienced auto accident attorney. The team at our law firm will help you in your time of legal need.